First aid kits in the workplace are mandated by OSHA. Hear about the minimum standard changes in 2015 and if a trained person is necessary. If a company’s work location is far from emergency services, OSHA requires that a person be qualified. For the workplace, OSHA refers to ANSI’s standard. Hear about the two types of kits in ASNI’s standard, Class A and Class B, and which is right for your company. ANSI revised its standard in 2015. See the transcript for a link to their Minimum Requirements. Dan Clark: Minor injuries in the workplace can often be treated with first aid. OSHA requires a company to have a first aid kit. But how big and containing what? And what about the recent changes to the minimum set by ANSI? I’ll tell you all about First Aid Requirements for Workplaces next. Workers get hurt and, luckily, don’t always have to head to the emergency room. Companies are required to have a first aid kit and sometimes have a person trained in first aid on-site. WHAT DOES OSHA SAY ABOUT FIRST AID? 1. Have first aid kits on-site that contain supplies suited to the risks of the work environment. 2. Either be near a clinic or have a person trained in first aid at the worksite. • In high-risk workplaces, “near a clinic” generally means three to four minutes away from emergency services. • In low-risk workplaces, such as offices, up to 15 minutes away is acceptable. WHAT SHOULD FIRST AID KITS CONTAIN? Every company is different. The employer should judge their workplace risks and stock first-aid kits accordingly. 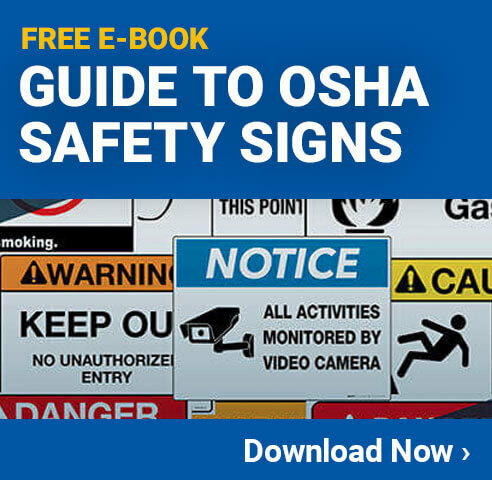 OSHA says employers must follow ANSI — The American National Standards Institute. Their standard was just updated in 2015. • Class B for a wider range of injuries. It also contains a higher quantity of supplies. Basic first aid kits should contain bandages, adhesive tape, antiseptic, cold packs, scissors, splints, sterile pads — there are so many things. The full list can be seen on the OSHA and ANSI websites. Links to those are in the transcript of this podcast. A first aid kit can also contain over-the-counter medications if they’re individually sealed. Medications that cause drowsiness should not be included. OTHER FIRST AID FACTORS TO CONSIDER. OSHA has a bundle of additional requirements for first aid and first aid training in certain industries such as logging and electric power generation. Company owners and managers should explore this to find out if their industry is subject to these requirements. It’s a good idea for first aid training to include CPR and the use of AED’s. An AED is also a good addition to a first aid program to have. On-site first aid kits must always be properly stocked and it’s a good idea to assign somebody to take on this job. That’s all for this episode, First Aid Requirements for Workplaces. Join me again for more ways to stay safety compliant in today’s always-changing landscape of safety requirements. I’m Dan Clark of The Safety Brief, a service of Creative Safety Supply. Save 10 percent off your entire order at creativesafetysupply.com with coupon code BIG10.